ATK, the builder of the Shuttle’s solid rocket boosters, formed a partnership last year with Astrium, the European subsidiary of EADS (which builds Airbus aircraft) that builds the Ariane 5 booster. They are modifying the second stage of the Ariane booster for integration with the 5-section version of the shuttle solid booster. Today they announced their crewed vehicle, which will be built in Iuka, Mississippi. It will be built of composite materials. Systems integration – essentially putting the whole vehicle together – will be done at the Cape with the help of Lockheed-Martin. To start, the second stage will be built at the Astrium construction facilities in Europe, but the company indicated it will eventually build them in Florida. The Liberty system was not selected for NASA assistance last year. That money went to SpaceX, Blue Origin, Sierra Nevada, and Boeing. Congress is fighting with NASA right now about continued funding. 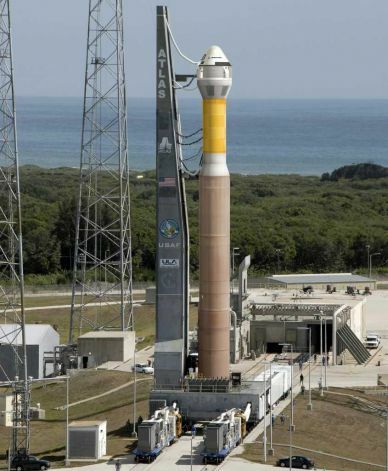 A Congressional committee wants to cut the next round to half the amount NASA asked for. The committee also wants NASA to fish or cut bait – to select fewer contractors. NASA officials argued that the competitive structure in place was producing better results because of the financial involvement of more firms and the technical experience they would bring. Along with the four companies in CCDev2, the Liberty system is being developed independently but the company has signed an agreement with NASA so that they still can ultimately have NASA approval for the vehicle. 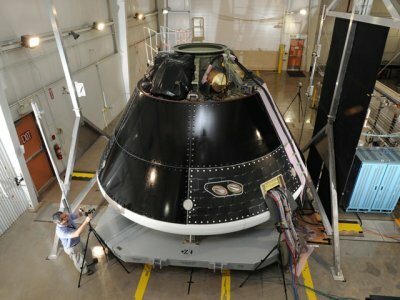 Lockheed-Martin, principal contractor of the once-dead NASA Orion system, proceeded with design and construction of the Orion spacecraft while there was no funding. NASA has been able to provide some funding since. 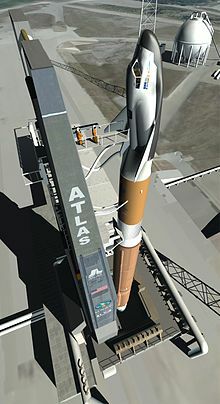 Boeing and Sierra Nevada have selected the ULA Atlas as the launch vehicle of choice for their crewed capsules. 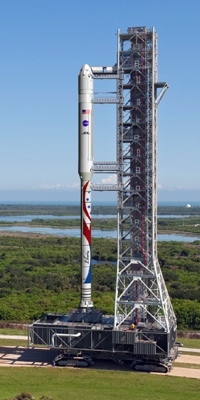 Boeing CST-100 on an Atlas V. No Aerojet solids on this version; with the solids the acceleration is amazing! Blue Origin has decided to go with their own reusable launch vehicle for suborbital flights at first, then adding a second stage it for orbital flight with a capsule design based on NASA biconic-capsule research. I have to give Sierra Nevada credit. They are the only ones breaking from the “super-Apollo” capsule design. Their Dream Chaser is based on the 1990s NASA HL-20 lifting body research. The only change from the old Apollo-style capsule system is that only the LockMart vehicle has a “traditional” Apollo-style launch escape tower to pull the capsule off the rocket if something bad happened. The others are all working on some kind of integrated rocket engine system to launch the vehicle off the rocket. In the case of SpaceX, the rocket system on the Dragon is designed to be powerful enough to make landings on solid ground possible – or landings on Mars. 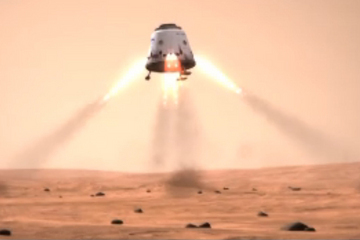 SpaceX Dragon capsule landing on Mars! So there are a variety of systems not just “under development,” but actually “bending tin.” I would hope five years from now we will have three or four choices available for satellite launching, manned trips to the ISS, the Moon or a nearby asteroid, or for trips to the Bigelow space hotel. 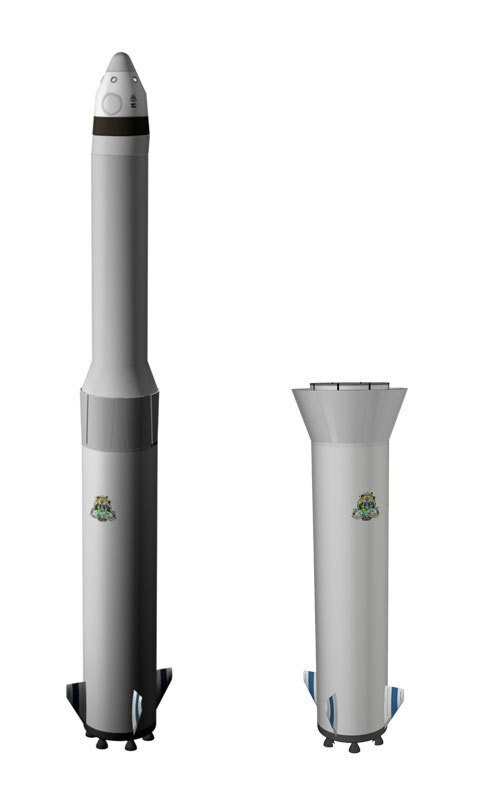 Update: more information on the Liberty Launch System.